A stop at Michael's for other party supplies (cupcake liners, frosting tips, gold spray) and came out wth some crafting supplies of course. 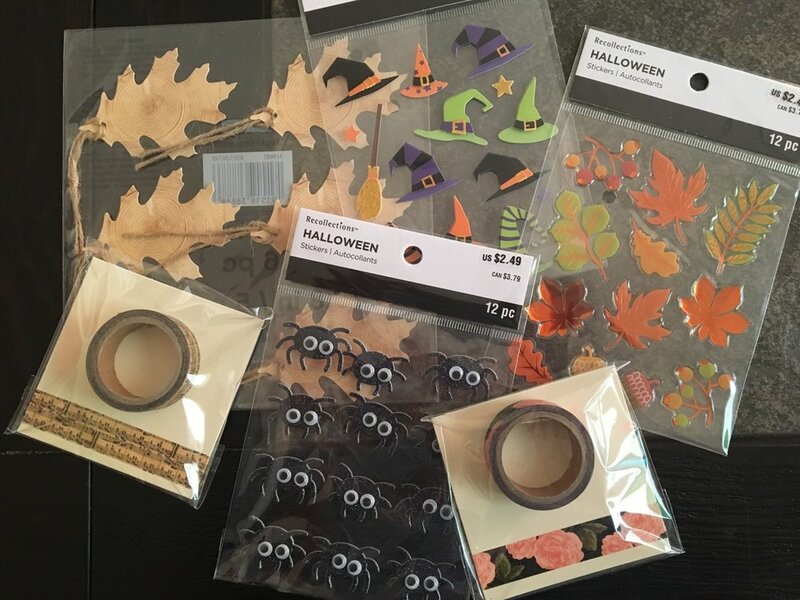 I snagged some cute Halloween and fall stickers, leaf tags, and some pretty clearance washi tape. I also received my small planner sticker order from Brianna Nicole Designz on Etsy. 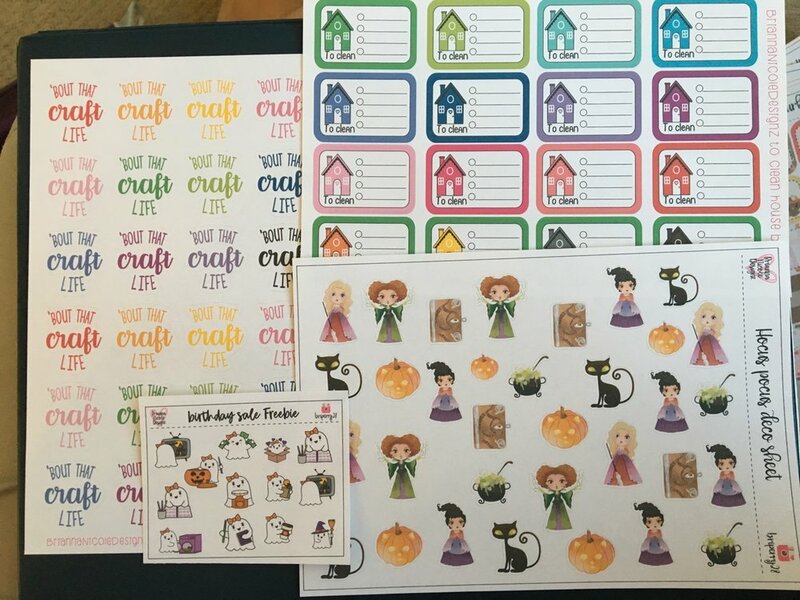 I grabbed some cute craft stickers, cleaning stickers, Hocus Pocus images, and two fall themed kits.